April 4, 2016 – Governor Phil Bryant and Attorney General Jim Hood announced that the federal court in New Orleans approved a settlement among the Gulf States, United States, and BP totaling approximately $18.7 billion related to claims arising from the Deepwater Horizon oil spill. As a result of the settlement, an additional $1.5 billion will come to Mississippi for natural resource damages and civil penalties under the Clean Water Act. These funds will be distributed to the state over the next 17 years and are in addition to $659 million of early funding already received. In all, Mississippi is receiving a total of nearly $2.174 billion in compensation. “This is the culmination of a years-long effort to secure rightful compensation that will allow for the restoration of our unique ecosystems and our economy on the Gulf Coast,” said Gov. Phil Bryant. “This is a final hurdle bringing us closer to accessing all of the settlement funds for projects and initiatives to restore and enhance our natural resources and our economy. Our agency has worked diligently since the spill response and in the recovery phase to strategically implement projects to help make the Mississippi Gulf Coast better than it’s ever been,” said Gary Rikard, Executive Director, Mississippi Department of Environmental Quality. 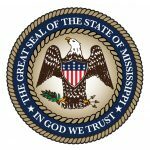 $750 million in economic damages paid over 17 years to be paid into the Mississippi Budget Contingency Fund, which will be available for appropriation by the Mississippi Legislature.